Does this brick wall and the street lights look familiar to you all? 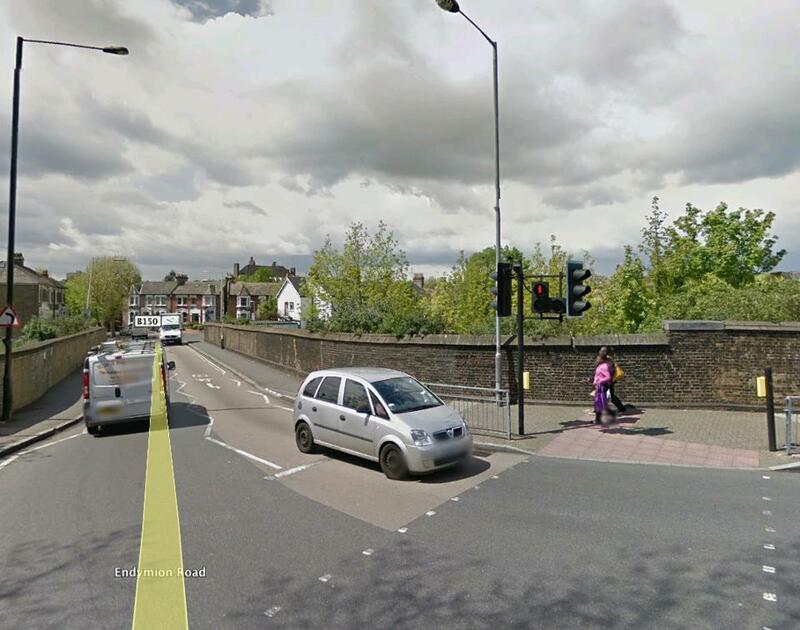 This is the railway bridge in Finsbury Park where Iron Maiden mascot Eddie lurked around in the seventies and was immortalized on a certain picture. 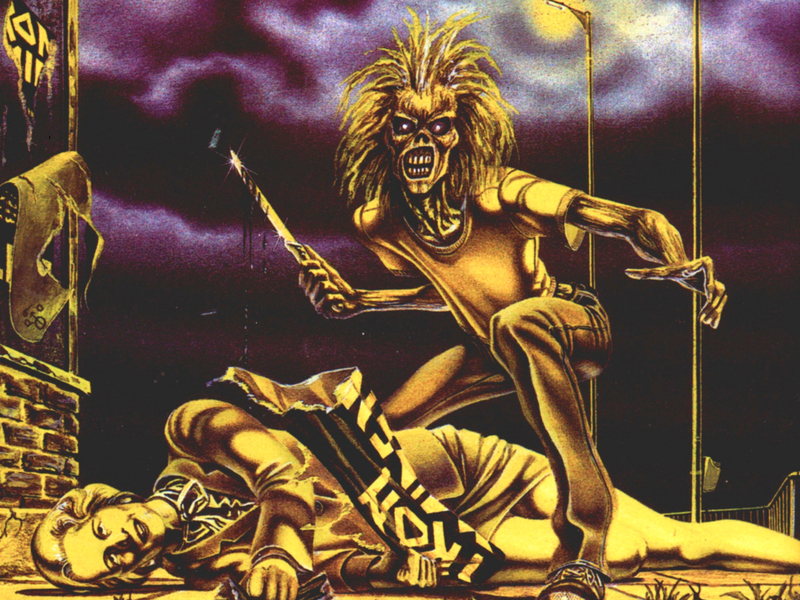 Earlier today original Iron Maiden cover artist Derek Riggs posted the above picture on his Facebook page. 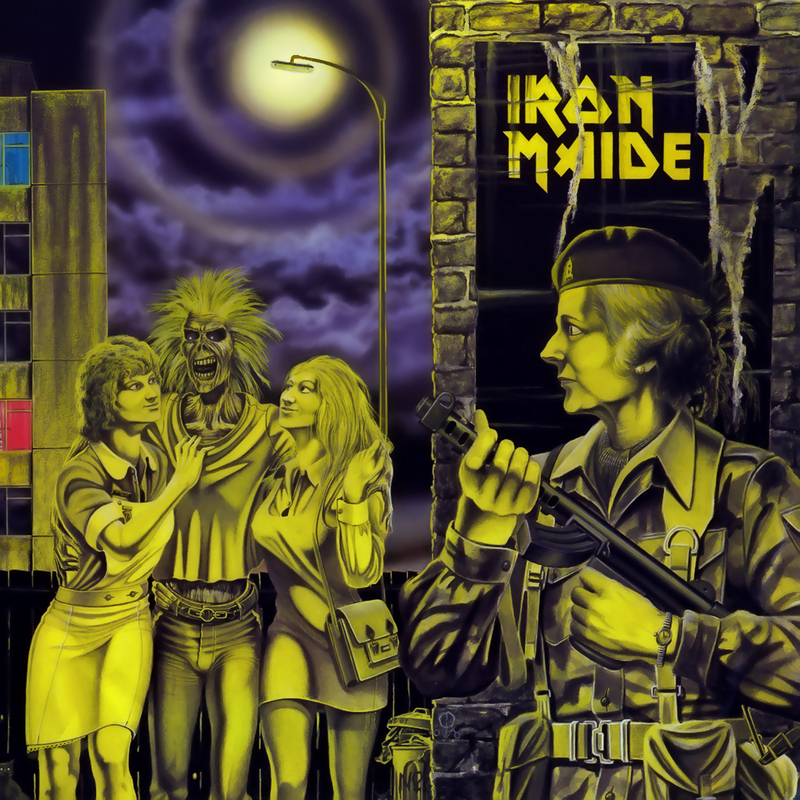 The picture shows the street in Finsbury Park where Riggs drew the inspiration for the iconic debut album of Iron Maiden. Eddie hanging out in Finsbury Park by the railway bridge sometimes in the late 70’s. – Earlier I was talking to a friend about when I used to live in Finsbury Park in London in the mid 1970’s, and how run down it was back then. Well I went to look on Google Earth to see if it was still there and how much it had changed and then I realized that I could get a street view. 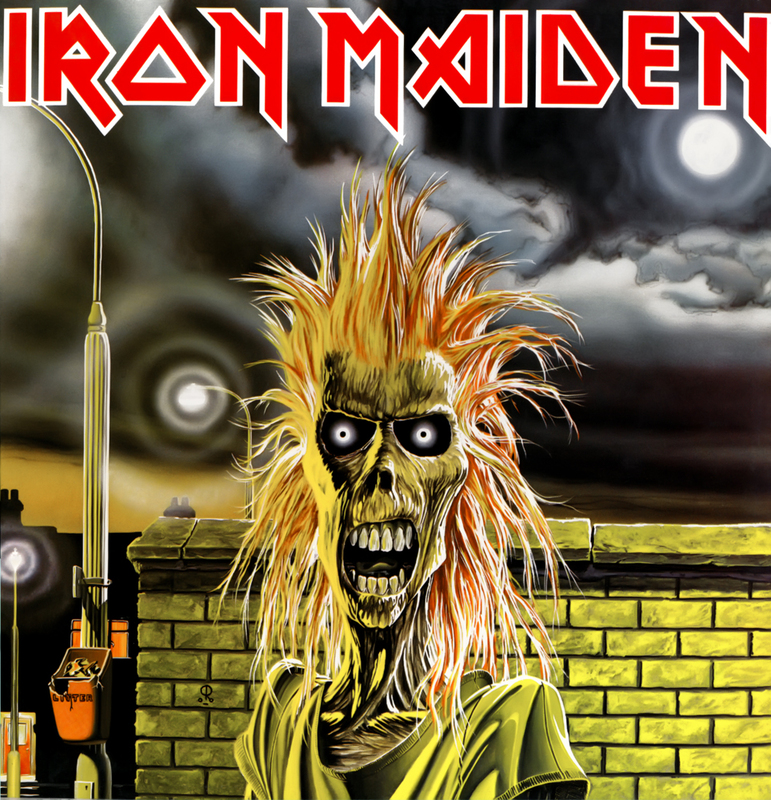 So this is a picture of the railway bridge and the wall and the houses in the background that inspired the background of the first Iron Maiden album cover. – Of course it was night, there was a big moon in the sky and the trees weren’t there then (it was over thirty years ago). Derek Riggs used to rent a room just around the corner in Oakfield Road (down to the end and to the right) on the picture. In the early 80’s Eddie moved to Finchley in North London where he pulled nurses and bullied the prime minister. 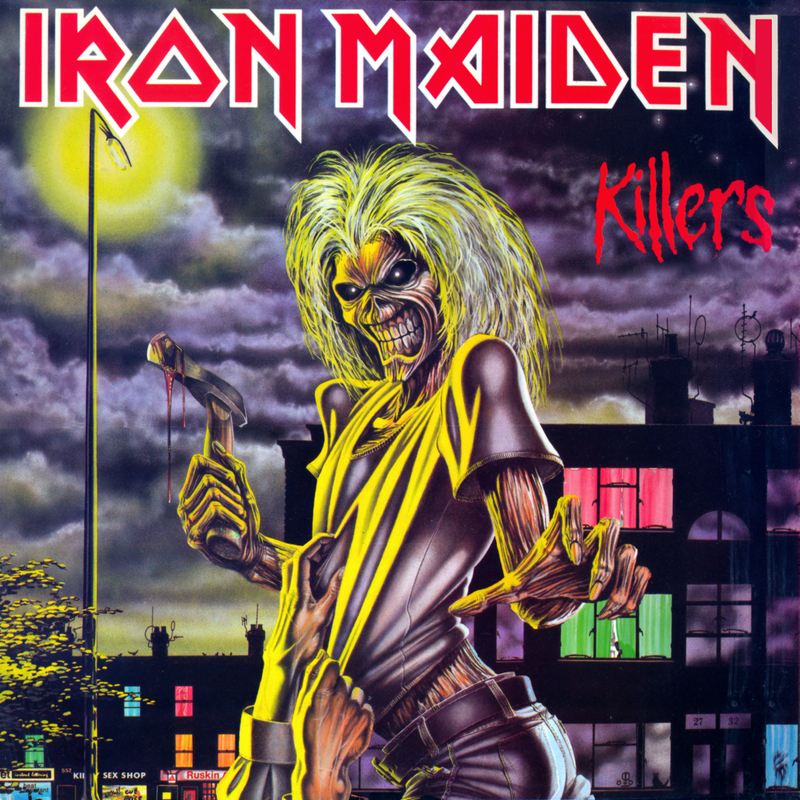 Scream for mercy, he laughs as he’s watching you bleed… Eddie being up to no good in Finchley, North London. Pulling women in uniform. Naughty bugger. Finchley, North London. ← Flash of the blade. Bruce Dickinson fences Olympic silver medal winner in Oslo. Wow, always good to reminisce the history. Good times! !